Regina Barzilay is the Delta Electronics Professor of Electrical Engineering and Computer Science at MIT. 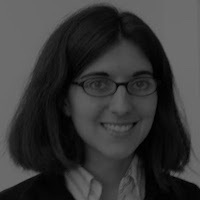 She is internationally known in the fields of natural language processing and computational linguistics, and is widely respected as a creative thought leader, Barzilay's research on natural languages focuses on the development of models of natural language, and uses those models to solve real-world language processing tasks. Barzilay’s work enables the automated summarization of documents, machine interpretation of natural language instructions, and the deciphering of ancient languages. Tamara Broderick is the ITT Career Development Assistant Professor in the Electrical Engineering and Computer Science (EECS) Department at MIT. She is also a member of the Computer Science and Artificial Intelligence Laboratory (CSAIL) and MachineLearning@MIT. Before moving to MIT, she completed her PhD at UC Berkeley with Michael I. Jordan. Prof. Broderick works in the areas of machine learning and statistics. She is particularly interested in Bayesian statistics and graphical models—with an emphasis on scalable, nonparametric, and unsupervised learning. Tommi S. Jaakkola received M.Sc. in theoretical physics from Helsinki University of Technology, 1992, and Ph.D. from MIT in computational neuroscience, 1997. Following a postdoctoral position in computational molecular biology (DOE/Sloan fellow, UCSC) he joined the MIT EECS faculty 1998. His research interests include many aspects of machine learning, statistical inference and estimation, and analysis and development of algorithms for various modern estimation problems such as those involving predominantly incomplete data sources. His applied research focuses on problems in computational functional genomics such as transcriptional regulation. Stefanie Jegelka joined the MIT CSAIL faculty in January 2015. She was previously a postdoctoral researcher in the Department of Electrical Engineering and Computer Science at UC Berkeley. Her research interests lie in algorithmic machine learning. In particular, she is interested in modeling and efficiently solving machine learning problems that involve discrete structure. She has also worked on distributed machine learning, kernel methods, clustering and applications in computer vision. 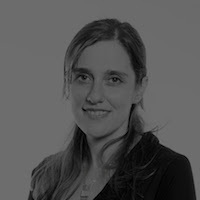 She received a PhD in Computer Science from ETH Zurich (in collaboration with the Max Planck Institute for Intelligent Systems in Tuebingen, Germany), and a Diplom in Bioinformatics with distinction from the University of Tuebingen in Germany. Caroline Uhler is an assistant professor at MIT. After completing a master’s degree in mathematics and a bachelor’s degree in biology at the University of Zurich, Prof. Uhler received a PhD in statistics from UC Berkeley in 2011. After postdoctoral appointments at the Institute for mathematics and its applications in Minneapolis and at ETH Zurich, Prof. Uhler joined IST Austria in 2012. In 2013 she participated in the semester program on Big Data at the Simons Institute at UC Berkeley. Antonio Torralba is an Professor of Electrical Engineering and Computer Science and a member of the Computer Science and Artificial Intelligence Lab. He is a Telecommunication Engineer by the Technical University of Catalonia (Spain) since 1995. He received his Ph.D. from Grenoble Institute of Technology (France) in 2000. His research interests span computer and human vision, computer graphics and machine learning. His particular areas of interest include object and scene recognition, large image databases, applied machine learning, and the role of context in visual perception. Aman Bhandari, PhD is currently at Merck Research Labs in the Longwood Medical Area, where he heads up a unit focused on building data science partnerships and capabilities for the company. Prior to Merck, he worked at the White House for President Obama’s first two U.S. Chief Technology Officers as well as a senior research scientist at the Centers for Medicare and Medicaid Services. His graduate training is in epidemiology, health services research and pharmacoeconomics.